Stormzy sings for the first time on his song with JP Cooper. The grime superstar and the 'September Song' hitmaker have teamed up on the track 'Momma's Prayer' and JP has revealed the 'Big For Your Boots' rapper has a soft soulful tone to his vocals. 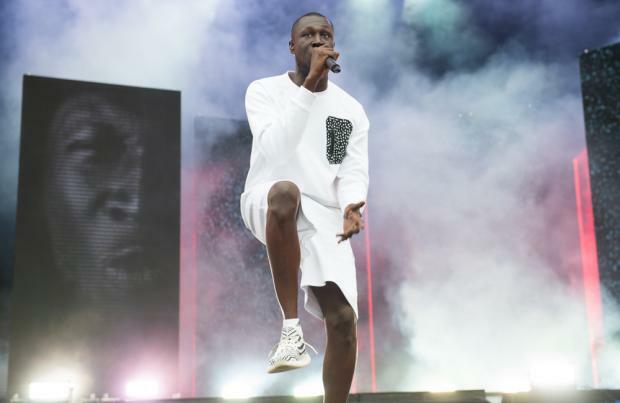 He told the Daily Star newspaper: "It shows Stormzy's softer side. "He has a lovely tone for his voice - he has a really honest delivery, in a similar way a lot of rappers do a little bit of singing in the chorus, he does on this track." JP - whose real name is John Paul Cooper - previously revealed the single exclusively to BANG Showbiz. He said: "The funny thing is there were a few plans to collaborate on a song. And a lot of people said we've collaborated on a song but it never actually happened. Stormzy is in big demand for collaborations as Clean Bandit cellist Grace Chatto recently revealed the 'Symphony' hitmakers are hoping to get the 24-year-old star on one of their tracks. Over the years the electronic music group - which includes also includes Jack and Luke Patterson - have collaborated with a number of artists such as Jess Glynne, Zara Larsson and Sean Paul, but the 31-year-old beauty says Stormzy is high up on their wish list. She said: "Yeah it would be great to do something with Stormzy. "We've kind of spoken about it a bit and he seemed up for it at the time. So I'm hoping we can find a time to get together in the studio. Yeah, he is amazing."